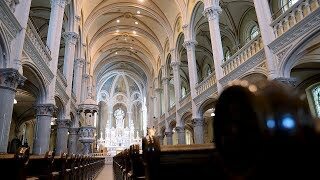 News Fires: Are the churches in Montreal in danger? It's now time to register! The Forum on Religious Heritage is the annual meeting of all stakeholders concerned about the future of Quebec's religious heritage. Visit our Event Page and register now! To stay on the lookout for Religious Heritage, fill the following form out! We commit to use it in a limited and reasonable way. Please note that all our communications will be in French. We use the Mail User Agent MailChimp. If you change your email address, you will only need to fill out the form with your previous email address and MailChimp will offer you to update your profile. The first MailChimp sendings might be in your spams mailbox.